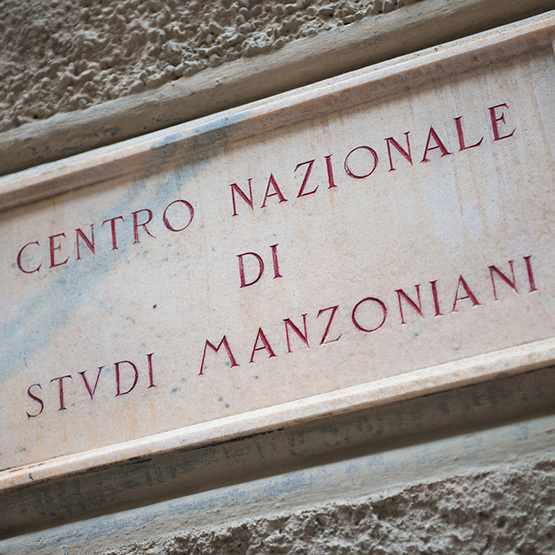 The Centro Nazionale di Studi Manzoniani was set up by royal decree under Italian law 1679/37, and its statute approved under a second decree law enacted a year later on 23 June 1938. In 2002 it became a foundation. 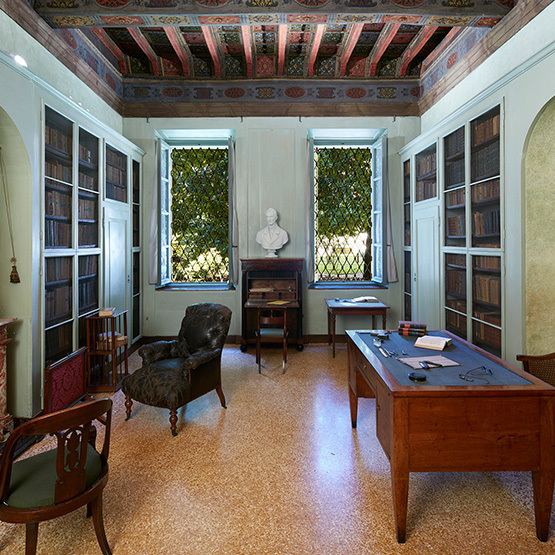 As provided by Article 1 of the Statute, the purpose of the Centre is ‘to promote and co-ordinate study and research concerning the life and works of Alessandro Manzoni and the cultural movements related to him as writer and thinker’. The Centre offers scholars the use of a specialist library containing over 300,000 volumes. Among its most prestigious resources are the books which belonged to Manzoni himself and his stepson Stefano Stampa, the Treccani and Viganò donations, translations – the earliest dating back to 1827 and 1828 – into Albanian, Arabic, Armenian, Catalan, Czech, Croatian, Danish, Hebrew, Esperanto, Estonian, Finnish, French, Japanese, Greek, English, Latin, Latvian, Dutch, Polish, Portuguese, Romanian, Russian, Serbian, Slovak, Spanish, Swedish, German, Turkish, Hungarian, and most recently, Chinese. The Manzoni Museum opened in 1965, having been set up with funding from the Centre itself, the Braidense Library and the Civiche Raccolte in Milan. The Museum serves to illustrate the life and works of the writer, which it does by proposing a series of parallel and complementary itineraries between related images, books and documents. Since 2013 it has also been home to the gallery of votive offerings belonging to the P.G.R. Foundation, the only collection of its kind in Milan not housed in places of worship. The Centre’s primary activity, funded by Fondazione Cariplo and directed by a scientific committee comprising the members of the Executive Directive and other renowned scholars, is the publication of the National and European edition of Manzoni’s works in a total of 36 volumes. Research on Manzoni is published periodically in Annali Manzoniani, and also in the ‘Quaderni Manzoniani’ series, as well as in other occasional publications.